Josie loves being around people and is so excited to see her friends at the shelter that when they enter her kennel, she walks circles around them, rubbing her face and body on their legs and then does these adorable little hops to show how happy she is to see them. As affectionate as she is, Josie doesn't give the big face kisses that make you scrunch your face. Instead, she'll get close, like she's sniffing you, and then daintily kisses your nose. Though Josie doesn't seem interested in playing with toys, whenever her friends at the shelter bring her a toy, she seems absolutely tickled and pleased that they've brought her a gift, like "Oh, I can't use this right now, but thank you so much for thinking of me!" She walks wonderfully on leash, but is pretty low to medium energy and likes to sniff rather than go long distances. And she loves to roll around outside - not just in the grass, but also on the pavement, even if she's wearing a coat! But her favorite place in the world is definitely snuggled up next to you with her head in your lap. This good-natured young lady has really enjoyed playgroup in the past and be more than happy to go back to hanging with her canine buddies as soon as her knee is back to normal. 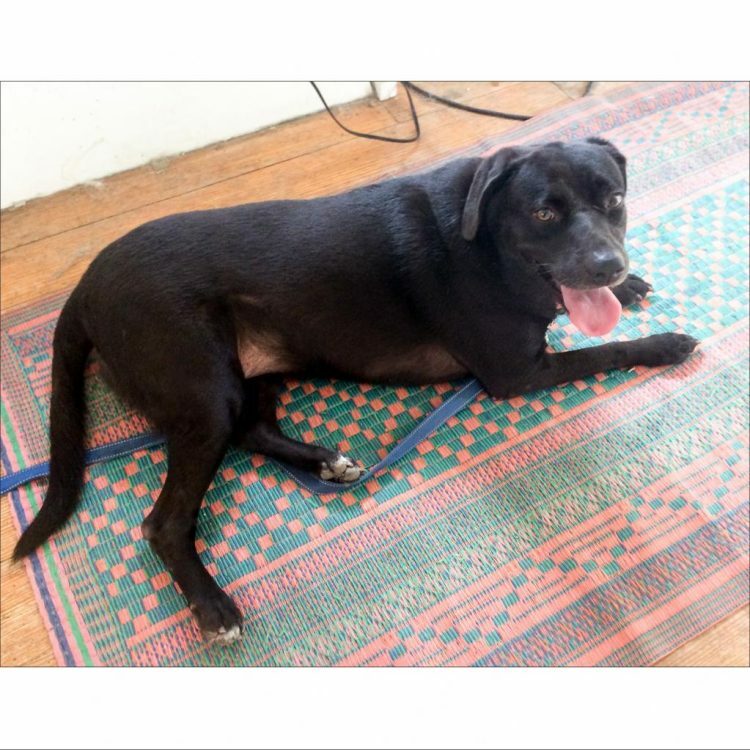 She has an injured knee that needs surgery and is eager to find her loving home that will help her heal back to 100%. APA will handle her treatment, she just needs you to give her lots of love to help her recover. Josie can be a little shy at first with new people, but she'll be asking for pets by the end of the first meeting by rubbing her head and body against your legs and nudging your hand if you stop petting her, though with that irresistibly soft fur, that probably won't be an issue. This big cuddler loves affection more than treats, so much so, that when her trainers work with her, they primarily rewarding her with affection! She knows sit and is pretty good with recall and come, though it's hard to practice those, since Josie is kind of a velcro dog and wants to be by your side constantly! Josie is also APA! 's Total Obedience Program (TOP), which is modeled after the AKC's Canine Good Citizen (CGC) test. As a TOP dog, Josie has a personalized training plan and works with a volunteer trainer several times a week to help her learn the skills to become the best dog she can be! Josie is learning skills like sit and down, sitting calmly when approached by strangers or other dogs, staying in a sit or down until told "free," coming when called and "place", which means Josie will go to a specific place in your home on command. Loving, sweet and low key, Josie would make a wonderful companion and she can't wait to daintily smother you in her love and precious kisses! Come meet her! 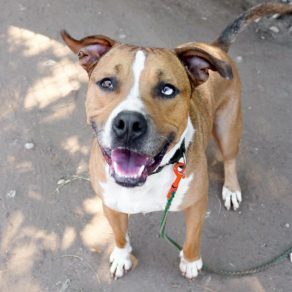 I saw Josie (https://www.austinpetsalive.org/adopt/dogs/apa-a-30844) on the Austin Pets Alive! website and would like to request more information.